Since 1999, Sunshine Tree & Landscape, a family owned tree and landscape service company, has been providing Warren County, NJ and the surrounding areas with exceptional landscaping solutions. Our New Jersery certified tree experts take pride in caring for your trees and will work diligently to offer landscaping solutions to beautify your lawn. 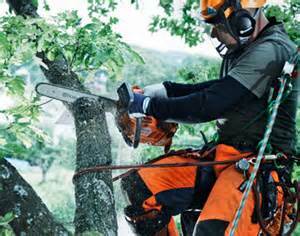 Sunshine Tree and Landscape has been a family owned tree service business since 1999. We service Hunterdon and Warren Counties in New Jersey. We take pride in beautifying your landscape from all aspects. We have two N.J. certified Tree Experts on staff- who will take the best possible care of your young and mature trees. Our salesman will come out and give you an evaluation of the trees on your property. At that time we can give you a diagnosis of what should be done, whether it is pruning, stump grinding and removal, tree cabling, insect and disease management or any additional tree service. Now that your trees look great we want to make your home look spectacular by updating your landscape. Nothing brings that “curbside showcase” like a wonderful hardscape of walkways, steps, and small retaining walls. We use high quality Anchor Concrete Products. Besides hardscaping you can make your landscape colorful by adding plants and shrubs. We also offer lawn fertilization and lawn weed control services. After a long, hard day of work nothing soothes those muscles and relaxes your mind like a hot tub spa. We carry Master Spa hot tubs. Now you can fully enjoy all the work done to your yard by relaxing in your new hot tub. We also provide full service and installation. Winter heating bills got you down? We also carry Central Boiler Outdoor Wood Furnaces. This is a safe and efficient outdoor furnace that can provide 100% of your heating needs. As a family owned landscape and tree service business we take pride in offering the best service and design style that fits your financial needs. Take a few minutes out of your busy day and come meet our staff at our store location. We are located on route 57 in Stewartsville New Jersey and service Hunterdon and Warren Counties in NJ.